I have a confession to make about this craft idea. This was actually a Valentine idea I came up with because I was just looking for reasons for my kids to create Perler Bead creations that I wouldn’t actually have to keep in my house. If you aren’t familiar with Perler Beads, they are fusible melting beads that you can create patterns and designs with (I have a full tutorial below). We have a TON of them and my kids like playing with them. The problem is that the finished product are little plastic slabs that make good coasters and fridge magnets, but that is about it. I don’t need any more coasters or fridge magentas. 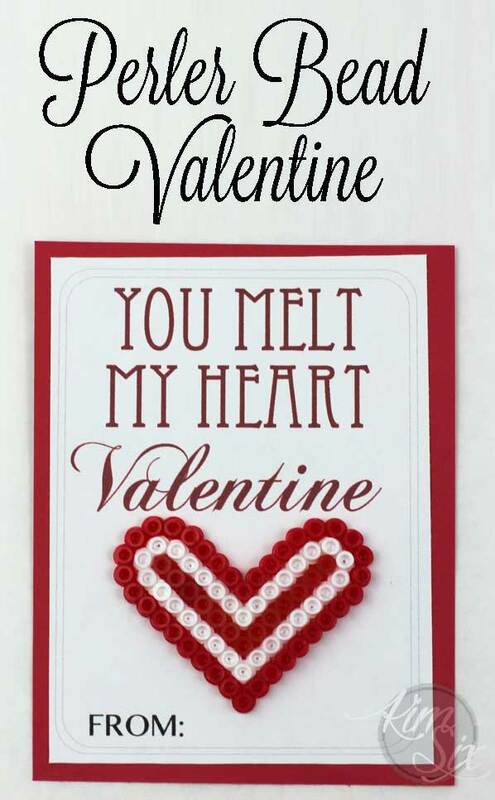 Sooo… since Valentine’s day is right around the corner, and each of the kids needs between 20-30 School Valentines, I thought this would be a great excuse for them to use their creativity to create dozens of Perler bead creations. 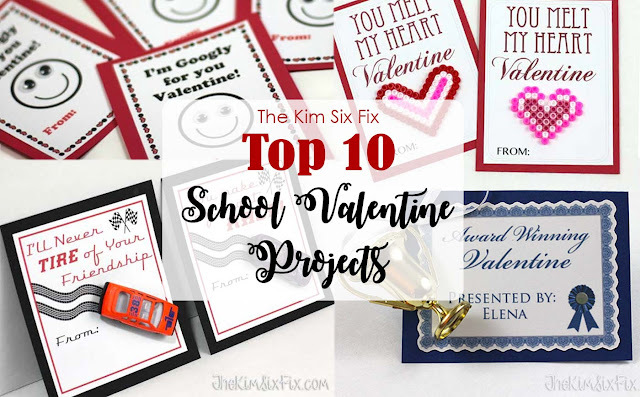 The only thing we needed to add was a way of delivering the little hearts, and so, just like I did with the matchbox car valentines from last year, I created a printable for card stock to make little cards. This printable is available (FOR FREE) by email. Just enter your email below and I will deliver it to your inbox. This file is for PERSONAL USE ONLY. Please do not share the fire nor use it or any modification of it for commercial use. To create the perler bead hearts you need Perler Beads, and the little pegboard they come with. We also use a needle nose tweezers, which makes it a lot easier to manipulate the tiny beads. We happen to have a heart shaped pegboard, which means making hearts is easy, but if you only have a square pegboard, you can create a heart shape as well I’ve included the pattern below for you to duplicate: Once you have the heart finished you are ready to melt and fuse it. For this you will need a piece of parchment paper just slightly larger than shape you want to fuse. Put the parchment paper on top and press with a hot iron. Make sure to keep the face of the iron FLAT against the beads, or they will get knocked off the pegs and melt incorrectly. It only takes a few seconds for them to melt so be sure to keep an eye on them. They will usually stick to the parchment a little, which is okay. You will know that you have melted it enough when the beads seem to run together and the holes in the center of each bead have gotten a lot smaller: ONCE IT HAS COOLED SLIGHTLY you can peel the paper off. I love the little “o” shapes on the front.. my kids like the melted sides better. 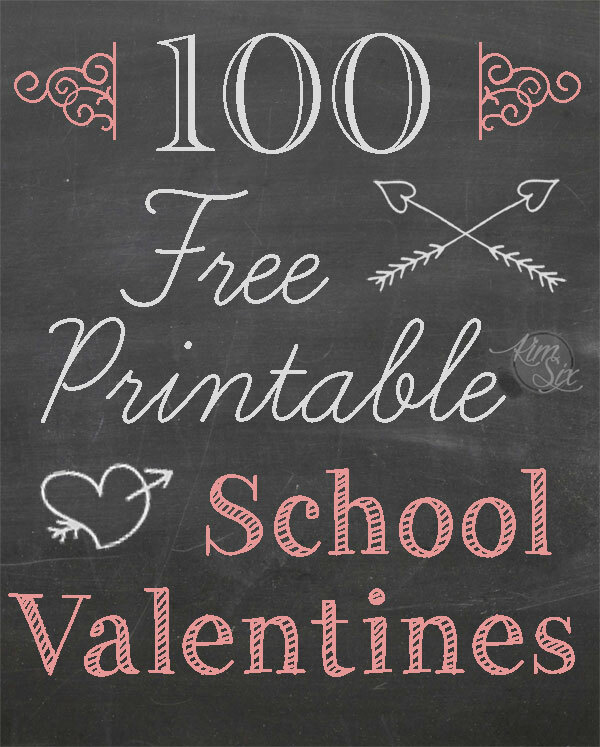 The fun part of this Valentine is that the kids can go crazy with different colors and patterns of hearts. The card itself is easy. Just print off the pdf on cardstock (make sure you set your printer to “scale to fit paper” since otherwise the borders may get cut off.) You can get four per sheet. I used a paper cutter (this is the type I have and love) to cut them apart, but you could also cut them with a scissors. To make they a little prettier I also backed them with a layer of red cardstock, again cut on the paper cutter. To attach the perler bead hearts I used mounting foam squares. Since they are pretty expensive, I cut each square into four smaller squares (they were about 1/2 inch by 1/2 inch square.) That is still plenty to attach the beads. Now the kids just have to sign them on the bottom and they are ready to go! The kids are happy to play with the beads for hours on end, and I am happy that I don’t have to keep all the hearts in my house! Not a Perler Bead fan?